I have many friends and acquaintances who absolutely love to run. They get up early every morning and do their runs, they run marathons several times a year and when they go to the gym, all they do is run, run, run. 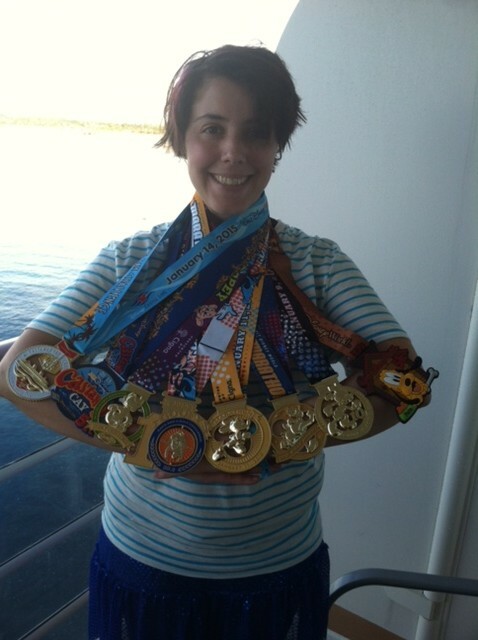 In fact, I even know someone who travels to Disney several times a year to run in Disneyland/World. I don’t get it, but to each her own I guess. Runners seem to be everywhere. I would bet that more people run as their “go to” for exercise than any other activity. And what a waste of time. Now before you start sending me hate email or leaving nasty comments, let me explain. Although I have nothing against the act of running, per se, I do have a dislike for it when it’s talked about in the context of fat loss. I also find it super boring and can’t understand why anyone would submit their joints to such unnecessary punishment that comes with long distance running, but we’ll leave my personal preferences out of it. My biggest problem with running, long distance running in particular, is that it’s such an inefficient way to reach one’s fat loss goals. In fact, research shows it does just the opposite. One 2006 study found in the International Journal of Obesity concluded that runners who ran the same distance or slightly more each week actually had waistlines that were BIGGER at the end of the 9 year study. In fact, there are plenty of more studies out there that prove just how ineffective and dangerous running is. One 2011 study in the scientific journal Psychoneuroendocrinology showed that cardio increases the stress hormone cortisol and cortisol is associated with cancer, heart disease, and belly fat. Another 2008 study found in the International Journal of Obesity concluded that after cardio exercise, the subjects ended up eating 100 calories more than they just burned off. *If you want more reasons why running is really bad for you, check out my free special report here. OK hater, what do you recommend? Look, if running is your thing and you absolutely love it, more power to you. If it makes you happy, I’m happy for you. However I want to make sure that you’re fully aware of the real dangers as well as the ineffectiveness and inefficiency of running when it comes to fat loss. If fat loss is your struggle, strength training is your solution. Strength training, which involves using your bodyweight, weights, bands, kettlebells or other forms of resistance that challenge your body to work harder significantly increases your metabolic rate. But so do long, boring (and dangerous) endurance exercises (such as running). The difference is how long and how much these activities boost your metabolism that really has an impact on your overall ability to lose body fat. To better understand this, we need to understand just what metabolism is. Our metabolism can be explained with this cool scientific looking formula! 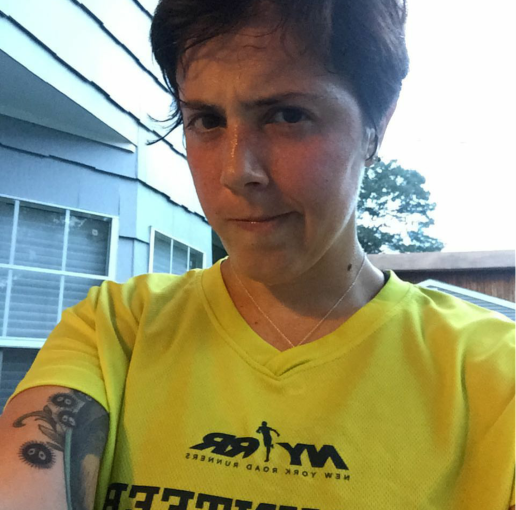 RMR or resting metabolic rate is the energy needed (quantified in calories) to keep our bodies alive – our heart beating, our lungs breathing, etc. Your RMR makes up about 60 to 80 percent of your total metabolic rate. The variation in RMR is due to individual differences between people, the foods we consume, and the activity we engage in. The Thermic Effect of Activity, or TEA includes all activity, not just from exercising but also from doing housework, to playing tennis, to walking across the room. The Thermic Effect of Feeding, or TEF is the amount of energy expended to eat and digest food and use those nutrients to create more energy. So each component of our metabolism is different for each person, resulting in unique metabolic rates. Add them all up and you get TEE, your total energy expenditure. So where does strength training come in? The harder you strength train, the greater the amount of calories you burn through exercise. In turn, if your food intake does not highly exceed your needs and consists of quality choices, you will lose weight and body fat. Interestingly, strength training also increases the amount of calories expended in your RMR. The way it does this is by increasing the amount of lean muscle mass you carry, which requires more energy to maintain and repair than fat tissue. Translation: By having more lean muscle, you’ll burn more calories, even while you’re sleeping. Both strength training and endurance exercise will increase your energy expenditure at the time of activity, and for a few hours afterwards. However, strength training is unique in that if you perform multiple sets of a challenging exercise, scientists have shown that the energy expended afterwards, known as EPOC (excess post-exercise oxygen consumption) can be elevated for 24-36 hours. Some people call this the “afterburn” effect of serious strength training. Translation: You’ll still be burning way more calories a day and a half after your strength training session while you’ll be burning zero extra calories after your cardio session. THIS is why I’m such a proponent of using strength training for the most efficient way to lose fat and this is why I’m so down on running as a tool for fat loss (Plus all the other dangers I previously mentioned). Strength training is the perfect type of exercise for ultra-busy people. To really burn the fat and get your metabolism going perform your strength training exercises in a HIIT workout and you have the perfect recipe for maximum fat loss in minimum time. 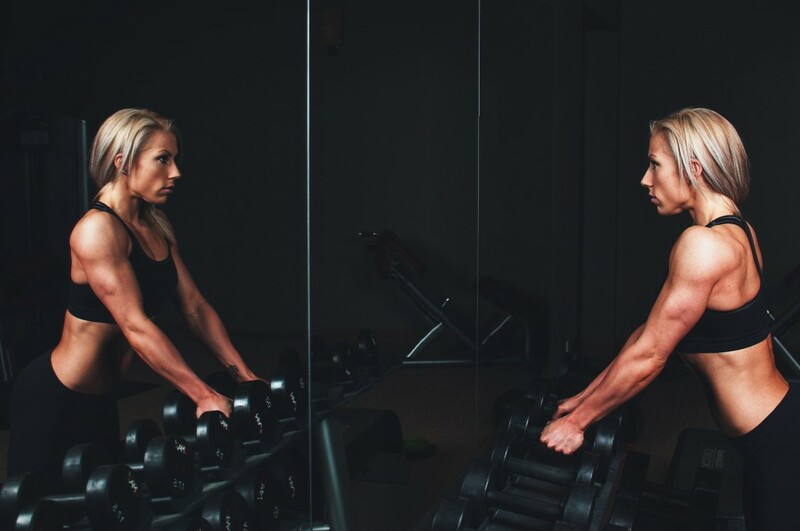 Strength training can significantly boost your metabolism, as long as you challenge yourself. If you’re looking to lose belly fat and build lean muscle, forget spending hours jogging on the treadmill or going on long distance runs, make sure you’re using challenging strength training exercises, perform full body workouts (for maximum efficiency and fat burning) and are getting the proper pre and post workout nutrition. If you’re not sure exactly how to get started, start here. If you’re looking for the perfect pre and post workout nutrition, start here.